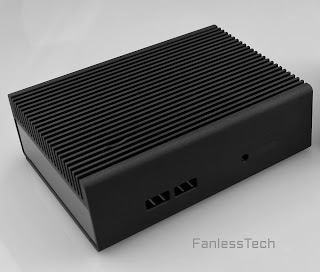 Here's the first picture of Streacom's NC1 evolution, compatible with Haswell NUCs. Beside the different mounting system, front audio and infrared captor are now de rigueur. The NC1-WY will be in stores at the end of December / beginning of January. Coming soon from Streacom, a larger NC2 case that will take advantage of the SATA port, as well as a NC3 with a whole new design. Stay tuned!